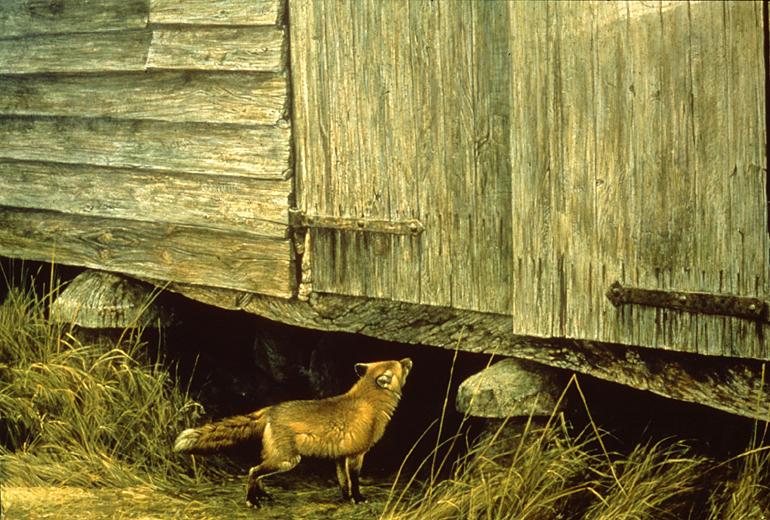 The red fox is found all around the temperate zone. He has a sort of love/hate relationship with mankind. He has exploited man wherever possible, but his beautiful fur and crafty ways have earned him a begrudging admiration. In England, the most blue-blooded outdoor activity is the fox hunt, which is more of a gallop across the countryside than a hunt. The only element of sport is the fact that the cleverness of the fox in evading the hounds makes it somewhat of a challenge.